We’re always open Fridays and Saturdays, but sometimes we are open for special events including for special releases (such as “IPA Day” and Festivus), food trucks, holidays, and the like. Check out our current schedule below (updated weekly). See our full schedule on our Facebook events page. Yeah, we do that! What could be cooler than your private party in our taproom’s unique and inviting atmosphere? We can accommodate groups up to 60 in our taproom. Want it private for your group only? Chat with Phil (417-293-3119 or by contacting us) to see what we can do! 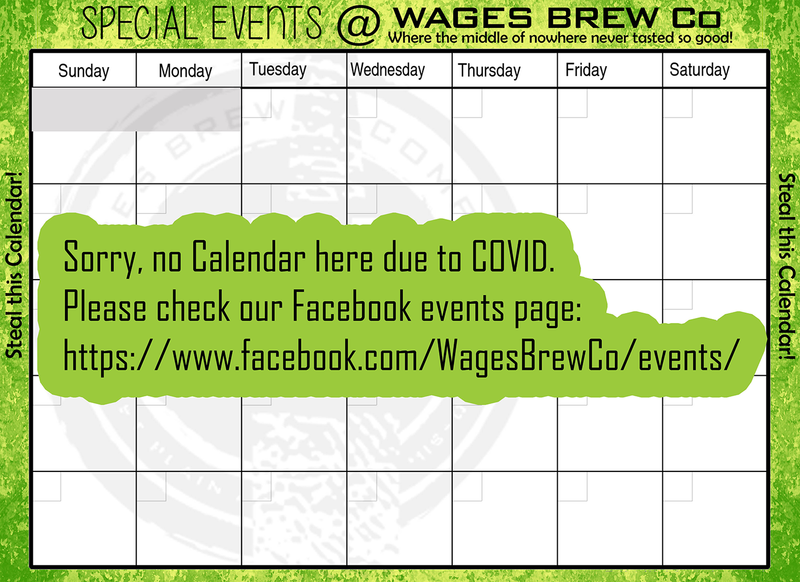 Our current calendar of events is generally weekly by Wednesday.